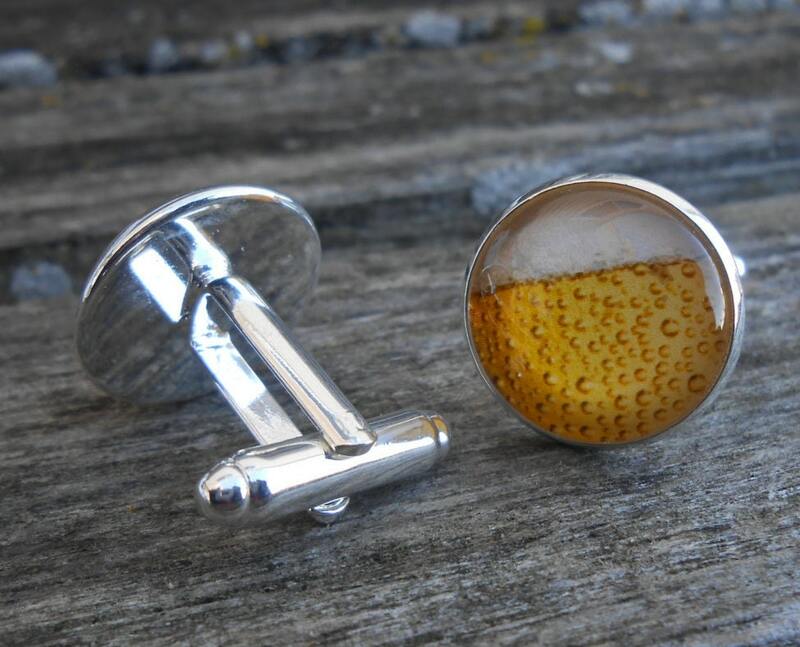 These 16mm cufflinks are perfect for any man who loves BEER! (Isn't that every man?). 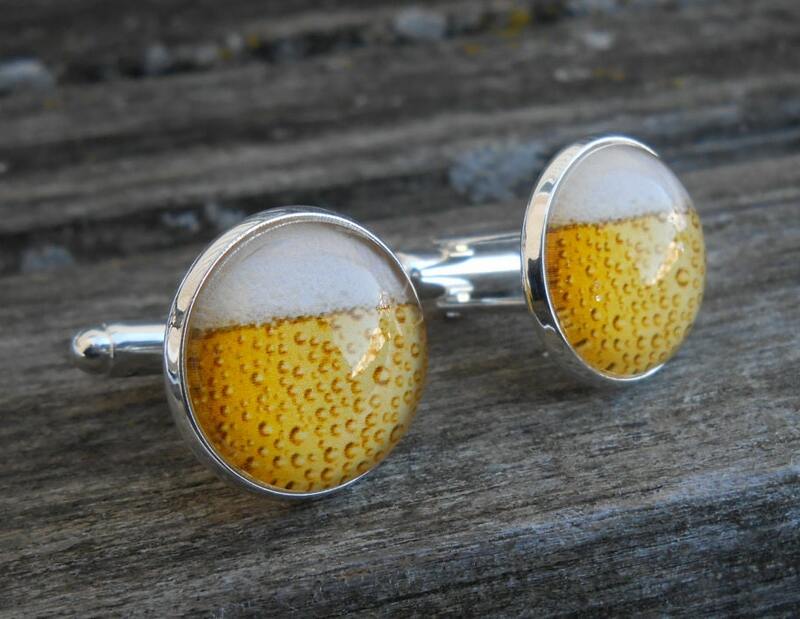 Each cufflink has an image of beer, with some foam on the top. 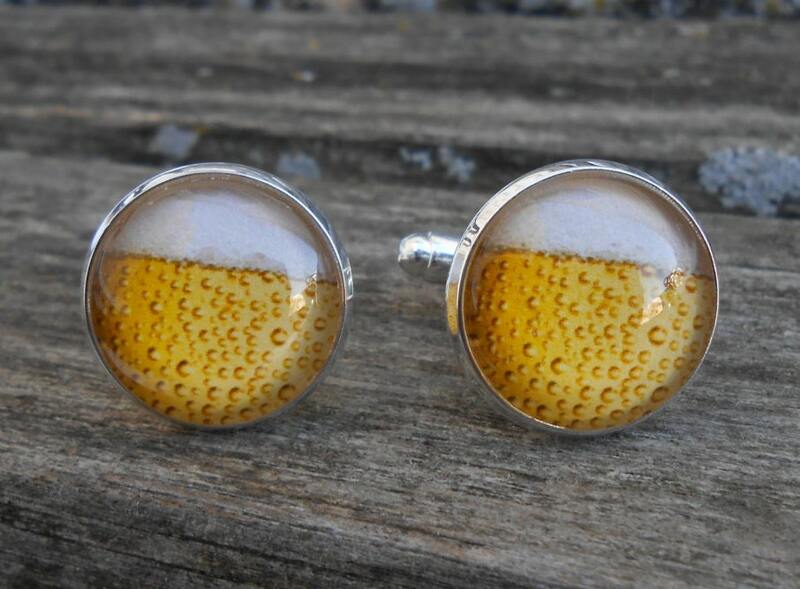 The beer is a pale ale. These would be great for any time of the year! 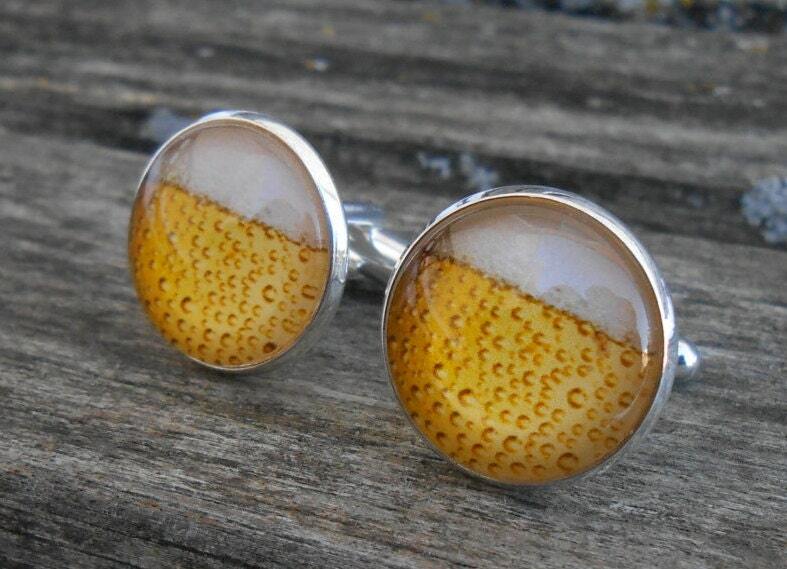 They are wonderful cufflinks for a wedding, an anniversary, for a Christmas gift, for Father's Day, or a birthday. 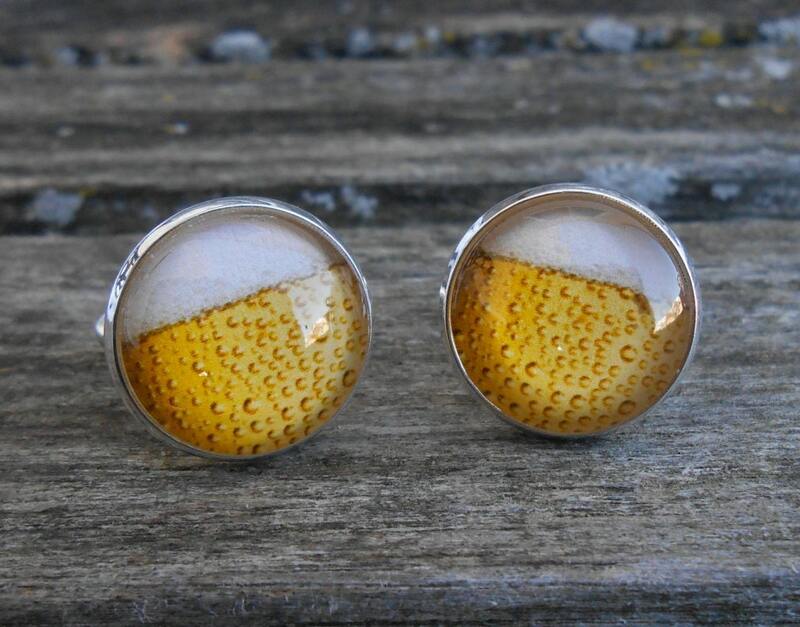 This listing is for one pair. They measure 16mm. 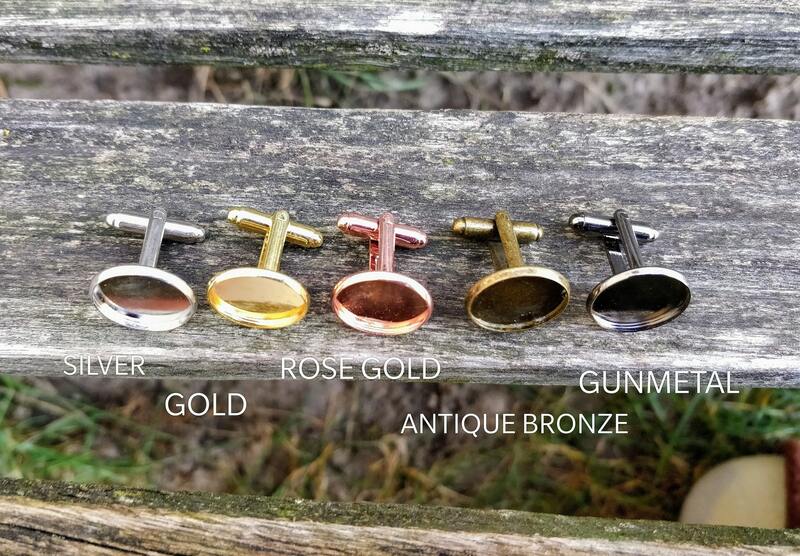 You can choose to have the metal silver, gold, antique bronze, rose gold, or gunmetal black.